The only household chore I really enjoy doing is laundry. I love fresh sheets and clean clothes, and I don’t even mind folding the clothes out of the dryer. If you don’t like doing laundry these products are going to make you change your mind. When I tried The Laundress it just took my laundry to the next level. I tried several products from The Laundress and I am completely obsessed. The Laundress is a luxury line of eco-friendly detergent, fabric care, and home-cleaning products. Their line is actually very extensive they have detergents for cashmere, lights, darks, denim, sports clothes, baby, and so much more. They say that 90% of clothes that say dry clean only can actually be washed at home that can save you time and money. The scents of their products and the quality is incredible, this is luxury at it’s best. 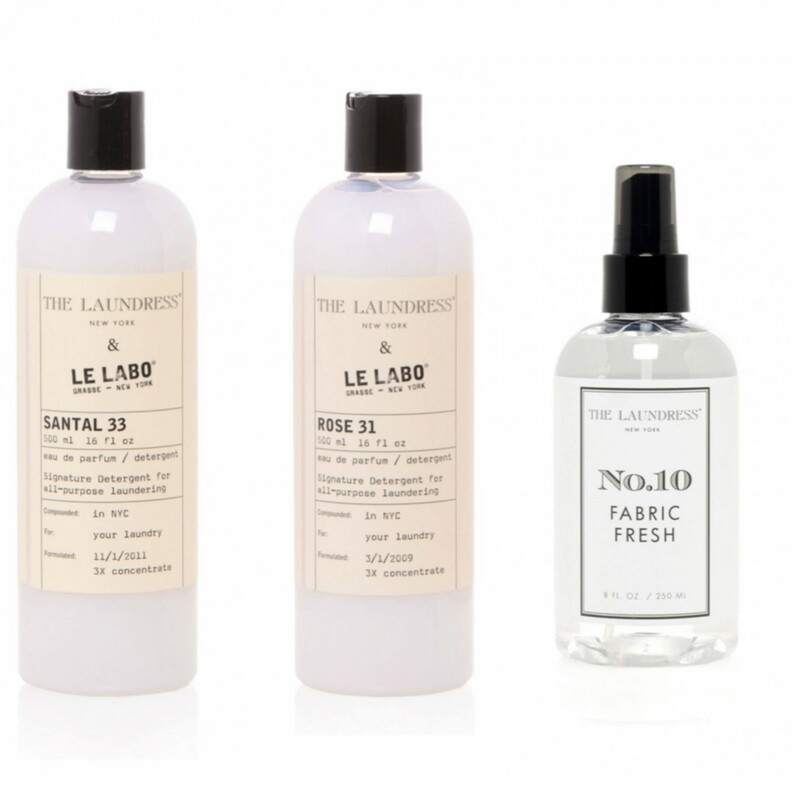 I tried three products, two that are collaborations with Le Labo fragrances, The Laundress & Le Labo Rose31 Signature Detergent, The Laundress & Le Labo Santal33 Signature Detergent and I tried The Laundress Fabric Fresh No.10. The detergents are so amazing, I hide them so no one in the house will use them. I’m totally hoarding them and now judging my own clothes wondering which clothes are worthy of this amazing detergent. The first one I tried was The Laundress & Le Labo Santal 33, I have never tried any Le Labo fragrances so I wasn’t sure what to expect. The scent is gorgeous, it is a warm fragrance. It has cardamom, iris, violet, Australian sandalwood, cedarwood, leathery notes, and some musky notes. I washed my sheets in it and after I made my bed I immediately climbed in my bed and covered my head with my sheets. My sheets felt so soft from the detergent, I had a really great night of sleep. The scent lasted for a few days. I wouldn’t describe the scent as heavy, it’s very warm and perfect for fall and winter. It makes me want to try the perfume. If you don’t like a fragrance like this I tried another one from the collab of The Laundress and Le Labo. 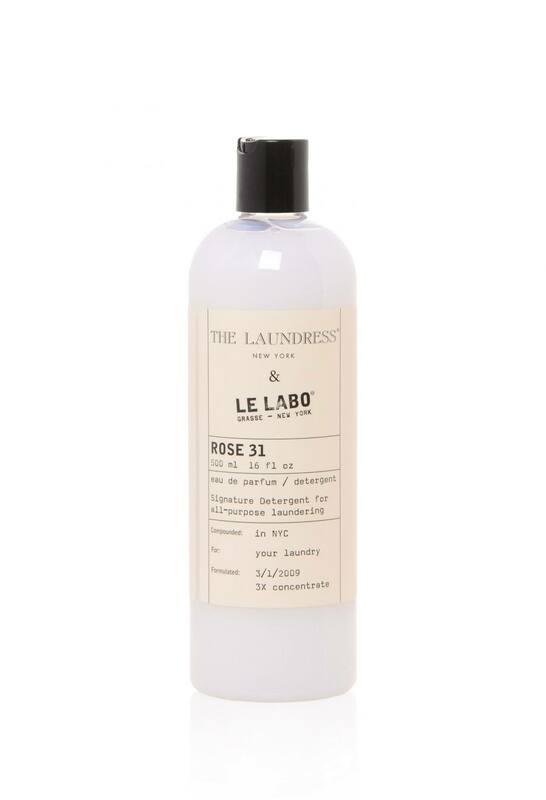 The second laundry detergent that I tried was, The Laundress & Le Labo Rose 31. It has a softer more feminine scent where Santal33 is more of a unisex scent. Rose 31 is a softer fragrance. I have been using it to wash my pjs and robes. The rose isn’t just for women, it has hints of amber in it that makes the fragrance warm and inviting. The detergent makes my clothes feel so soft and clean. 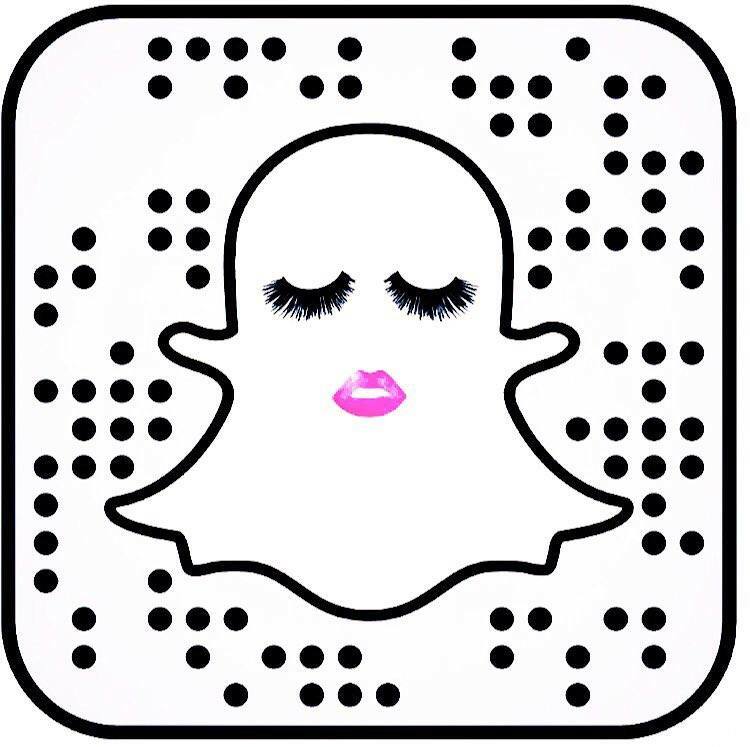 I am so obsessed with these products. I want to try everything. Ever since I started using these detergents I have made my bed my office and I never want to take my robes off. 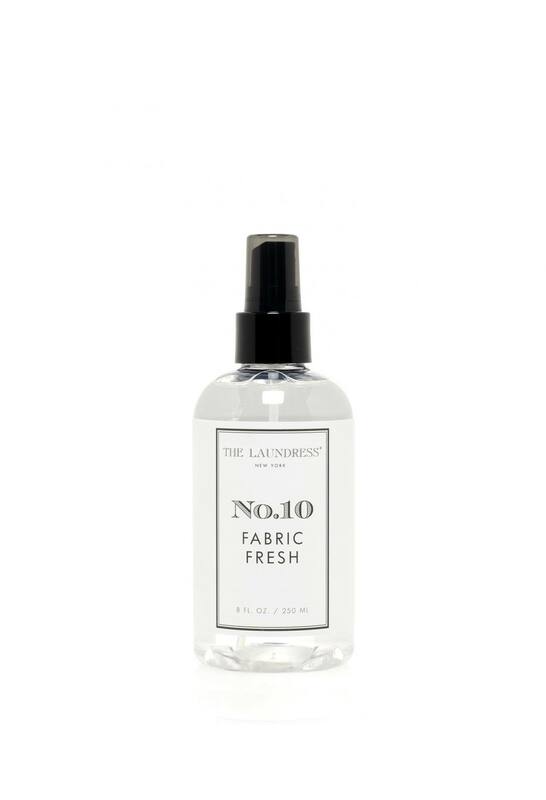 The last product I tried from The Laundress is their Fabric Fresh in their No.10 scent. If you don’t want perfumey scents for your laundry they also make their laundry detergent in their No.10 scent. The No.10 scent is light and has a powdery fresh smell with a hint of musk to balance out the powder. The Fabric Fresh doesn’t just freshen up your clothes, linens it also is a deodorizer. 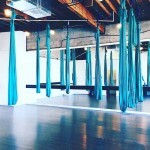 So you can use it for sneakers, luggage, car interiors, closets, drawers, sofas, drapes, etc. The fabric fresh is amazing you don’t need to over spray just a couple and it smells great. There are several other products that I want to try from The Laundress. Some of them are, The Signature Detergent, Sport Detergent, Whites Detergent (even with bleach I can’t get some of my clothes looking very white), and their candles. You can find these luxury laundry detergents here, TheLaundress. Please review the whites and the sports, I would love to change detergents but these are a little expensive and would love to know if they are worth the price. The Laundress looks very nice! Please, please review the others. I am interested in knowing why they sports detergent would be better than normal detergent! Do you know what the classic scent smells like from The Laundress? Have you tried the sport wash?